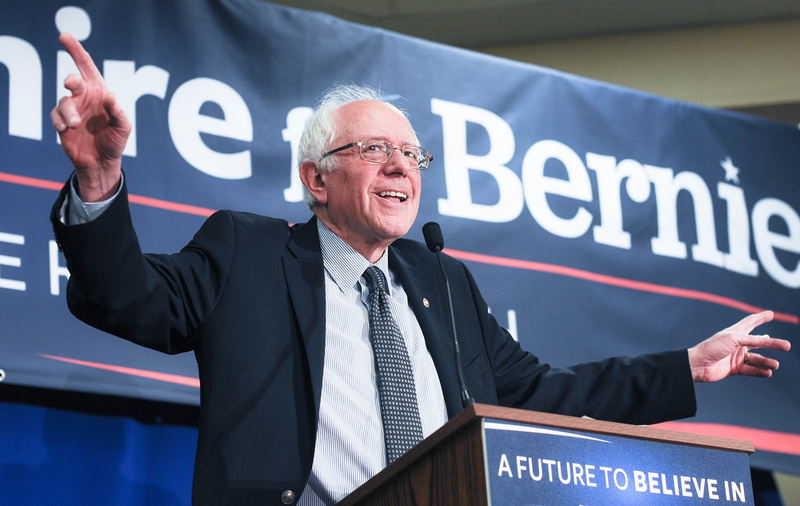 Vermont Senator and 2020 hopeful Bernie Sanders SWEARS he’s a different kind of politician. But he’s nothing more than a HYPOCRITE. But despite his “humble” unkept appearance, and his rants about economic inequality… Sanders is rich… VERY RICH. As Sander’s gets ready for the 2020 race, he’s coming forward claiming his “new-found” wealth on his successful career… as an author. According to The Washington Post, Sanders was allegedly the 19th-poorest U.S. senator and now he’s a multi-millionaire. As reported by Fox News, Sanders released 10 years’ worth of tax returns last night. The returns showed, the senator’s adjusted gross income as $561,293 in 2018 and paid a 26 percent rate. In 2017, the adjusted gross income was $1,131,925. “These tax returns show that our family has been fortunate. I am very grateful for that, as I grew up in a family that lived paycheck to paycheck and I know the stress of economic insecurity,” Sanders stated upon releasing the information. As a senator, Sanders makes $174,000 a year, according to the Congressional Research Service, which reported on Senate salaries last year. Sanders made $880,091.14 in book royalties in 2017, according to the senator’s financial disclosure documents filed in May 2018. Those royalties included a $505,000 advance on his book “Where We Go From Here,” which was published in 2018, Newsweek reported. During his 2016 campaign, the album got some attention -- though not always positive, The Guardian reported. Sanders reported receiving $2,520.60, but in 2017 he only received $539.47. In 2015, Politico reported, Sanders owned at least two homes -- one in Vermont and one in Washington, D.C. According to Forbes, Sanders and his wife, Jane O’Meara Sanders, bought a four-bedroom, two-and-a-half-bathroom house in Vermont in 2009 for $405,000. He also reportedly bought a one-bedroom town house in D.C. in 2007 for $488,999. Sanders bought a third residence in 2016 -- a house on Lake Champlain in Vermont -- for $575,000, according to The Washington Post. All other assets on Sanders’ 2017 financial disclosure form, including stock and mutual fund accounts, were listed under his spouse, except for two joint accounts -- one with the U.S. Senate Federal Credit Union valued at somewhere between $100,001 and $250,000, and one with the People's United Bank in Vermont -- its value is between $50,001 and $100,000.